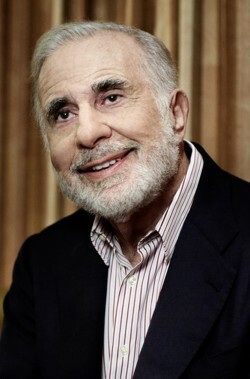 Earlier this morning Carl Icahn, an activist investor, revealed that he has purchased an additional $500 million in Apple shares. The announcement comes after Wall Street’s disappointment with the company’s earnings report. Apple’s share price closed at $550 yesterday and fell as low as $503 at open this morning. Last week, Icahn announced his share has passed $3 billion, but as of today he owns in excess of $4 billion in Apple, which works out to almost 1 percent of the company. Just bought $500 mln more $AAPL shares. My buying seems to be going neck-and-neck with Apple's buyback program, but hope they win that race. Mark Moskowitz, J.P. Morgan: Not Again: iPhone Stumbles into another New Year; We Maintain OW even as Air Pockets Persist. “We expect shares of Overweight-rated Apple to be under pressure in the near term. iPhone units were light, and the guidance for the Mar-Q implies continued softness, alongside higher OpEx. We think the iPhone air pockets reflect broader slowing in the smartphone market and company-specific factors. Apple is preparing for a few more quarters of turbulence in developed markets (North America) due to upgrade policy changes. Plus, Apple signaled the China Mobile roll-out will be limited by 4G-readiness. Our estimate revisions de-risk for these setbacks and higher OpEx, with a partial buffer in better-than-expected iPad trends.” Overweight. Target lowered to $585 from $615. Bill Shope, Goldman Sachs: Muted guidance a hefty setback, but opportunity persists. “The disappointing guidance is likely to pressure the stock in the near-term, but we are maintaining our Buy rating for the following reasons: (1) cash flow remains solid and leaves room for substantial increases in capital allocation in coming months; (2) the ramp of China Mobile is weighted toward the back half of the year, providing room for incremental iPhone growth; (3) Apple’s enterprise momentum should accelerate in 2014; (4) platform enhancements, such as mobile payments, are increasingly likely in 2014; and (5) we believe Apple could be more open to competing more aggressively in the midrange smartphone market.” Buy. $610. Glen Yeung, Citi: iPhone disappoints again. “Stubborn bulls may point to in-line financials for F1Q14, but by Apple’s own admission, these were helped by inventory build; F2Q14 guidance suffered as a result. Meanwhile, China Mobile is not contributing sufficiently to spur growth. And while Apple points to noticeable expansion beyond the first 16 cities in China, these first 16 account for ~33% of the country’s urban population in the largest 340 cities, and likely more of CM’s user base. When considering the relatively weak smartphone results from rival Samsung (although Samsung did gain share against Apple y/y), confidence in our Device Exhaustion theme is heightened, making it hard to get excited about smartphone-related stocks.” Neutral. Target lowered to $560 from $580. Now that the company has more than $158 billion in cash, Icahn will likely continue to push Apple to increase buyback of its own shares.